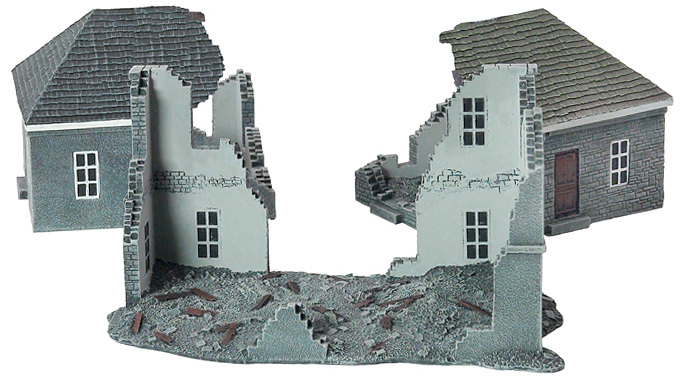 Modern warfare is brutal and destructive, leaving devastation in its wake. 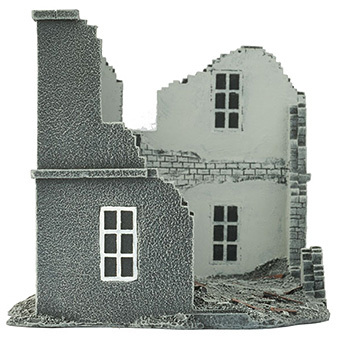 The Ruined Building is similar to one of our large two-storey premium houses, except with extensive battle damage. Also included are two smaller houses, each showing similar damage from shelling or bombing. 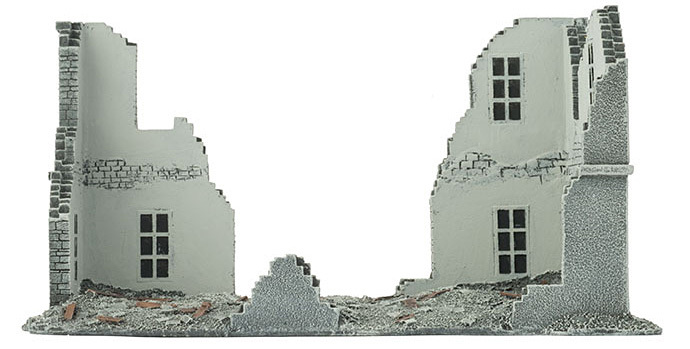 The three pieces will integrate seamlessly with the other Battlefield in a Box pre-painted buildings, creating a ready-made urban battle zone. 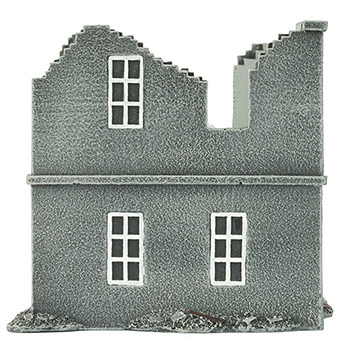 • 1x Large ruined house. 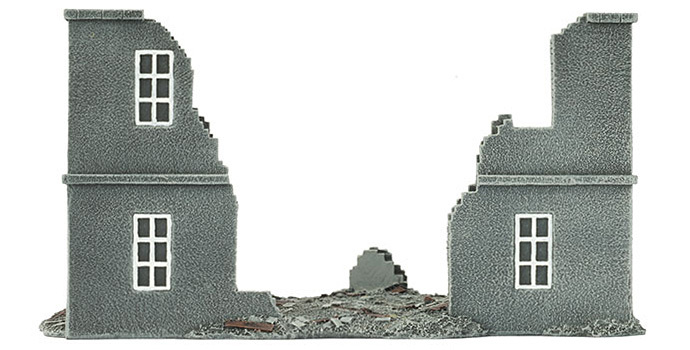 • 2x Small ruined houses. • 2x Small damaged roofs.